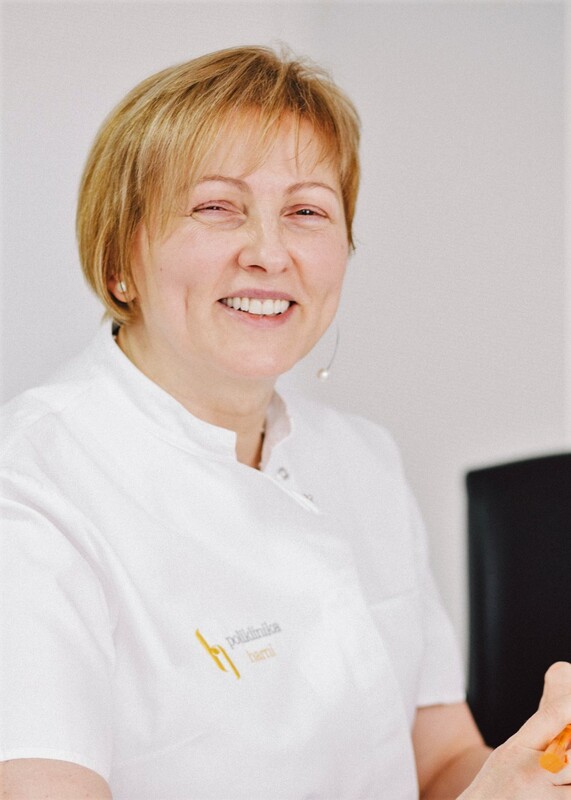 Vesna Harni is OB&GYN from Zagreb, Croatia and currently secretary of the Croatian Society of Gynaecology and Obstetrics. She works in the private office "Ginekološka poliklinika Dr. Vesna Harni", Bukovačka 1, Zagreb. She had spent a large part of her education and work in Germany where she gained her doctor degree in 1993 at Eberhard-Karls University in Tübingen. Besides holding Croatian, she had also obtained German specialization in gynaecology and obstetrics. In addition to standard obstetric care and gynaecological problems such as colposcopy, vulvoscopy and LETZ, special attention is paid to aesthetic gynaecology, particularly laser and PRP treatment. Dr. Harni has performed over 1,000 laser phototherapy treatments with or without PRP to improve urinary incontinence, urogenital atrophy but also women's sexuality, self-confidence and quality of the life. She is the first gynaecologist in Croatia who uses vaginal laser destruction for the treatment of vulvar and vaginal intraepithelial lesions, and laser labiaplasty and perineoplasty in the recovery of anatomy and function of female intimate area.